A young and excentric radio DJ airs a successful program in which diverse calls come in from anonymous listeners, who reveal their love stories, all charged with mix-ups, disputes and passion. This is a great movie! The story is very good structured, parts of the story are always in a perfect mixture with the present happenings. The actors are good and the music is strange. 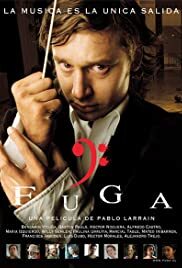 There are some really great scenes, and this movie has everything: love, hatred, passion, pianos, aggression, music, violence and a great plot. The only thing is, that I don't understand people who really dislike this movie, some of them have written bad reviews, but I'm glad that I watched it anyway...probably those people didn't really understand the movie and those hidden messages. I will never forget the tension which this movie built up, I can only suggest everyone(who like psychological movies) tho watch it.